I used to raise peacocks. And, well, when you have peacocks, you have peacock poop. And when you have peacock poop, you have to clean up the peacock coop. And on this particular day, the poopy coop duty was mine. So I got my brand new big green rake, and went into the peacock coop to scoop the poop. The coop was very large, about 900 square feet. There were a couple of nice creosote trees in there, some big rocks the birds liked to stand on, and a little pool for the peacocks to enjoy. There were 8 peacocks in there, including two who we named He-Pea and She-Pea who were the mommy and daddy of all the others. He-Pea ruled the roost, and She-Pea loved him and always stayed as close to him as she could. They were a match made in heaven. Until . . . . . the green rake came along. My green rake was made of plastic, with a wooden handle. It was a very bright green and very wide at the bottom. When I raked with it, I could rake a large area. I was raking away, gathering the peacock poop into a pile when I noticed He-Pea was acting peculiar. He left She-Pea, and was walking very near my rake, even prancing a little. His little head was bobbing up and down and he was making a strange sound. He would square off toward the green rake and puff his chest out. Then suddenly, with a loud swoooooooosh he threw open his big tail into a beautiful, giant, colorful fan! His fanned tail was about 6 feet across at the widest point, and boasted of some of the most brilliant colors God created! Once He-Pea’s tail was up and fanned, he brought it down over his head almost like a hood, and then he began to shake it. The sound of his shaking tail was like the sound of the wind blowing through crisp, dead leaves in the trees, rattling until they find their way to the ground below. It was impressive to be sure, but why in the world was he acting this way toward my green rake? I’d only seen him behave that way toward his beloved She-Pea! I glanced over to where She-Pea was, near the rocks. She looked unimpressed, even disgusted. I looked back at He-Pea, and saw him again puffing out his chest and, wait, was he flirting with my rake? He was! He-Pea was putting on a show trying to impress my green rake! 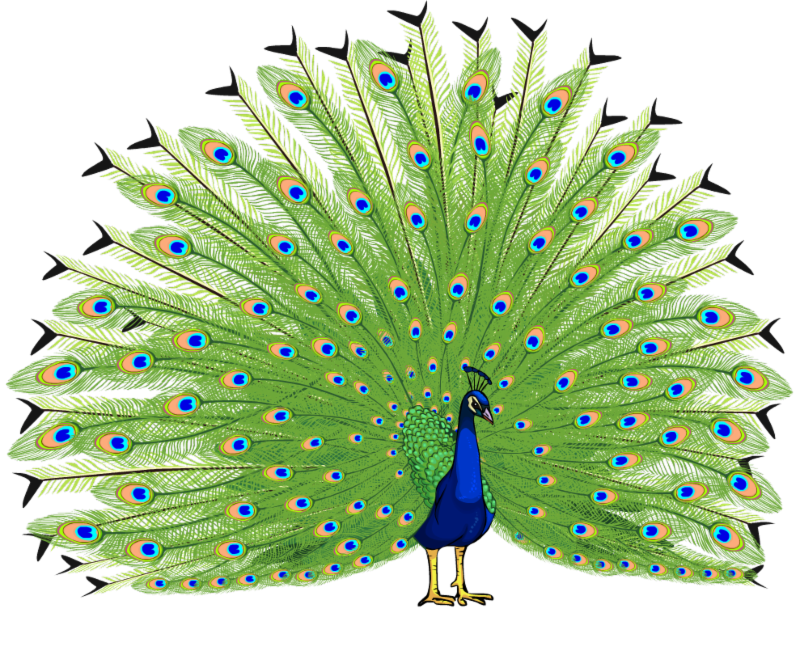 He-Pea mistook the color and shape of the rake for another peacock, and he was doing his best to impress the new arrival! Then it hit me. How often am I distracted by something appealing or tempting to me? How easily are my eyes drawn away from my beloved Jesus and focused on a green rake? Anything, and I mean anything, that takes your eyes off of Jesus is a lie! It cannot make you happy or fulfill you. Anything that takes your eyes of Jesus is nothing but a green rake. And we all know what my green rake was used for . . . . .
Lord Jesus, Thank you for making me your beloved! Help me to keep my eyes on You and You alone! Previous Previous post: I Got Subwoofers! Next Next post: Give Me a Sign, Lord!